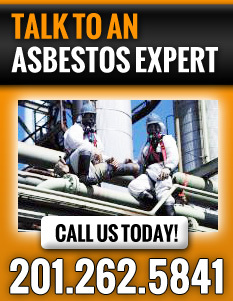 Links Page At A. Mac Asbestos Incorporated we are constantly expanding our knowledge of all things asbestos-related. If you would like to learn more as well, check out the links below. For answers to all your questions, we can be reached at 201-262-5841. Asbestos Information- The United States Environmental Protection Agency offers helpful information about asbestos. Asbestos Health Issues- The National Cancer Institute provides info on the dire health issues associated with asbestos exposure. Commercial Asbestos - OSHA booklet on asbestos in commercial buildings. Finding Asbestos- This Old House offers a guide on how to find asbestos in your home.